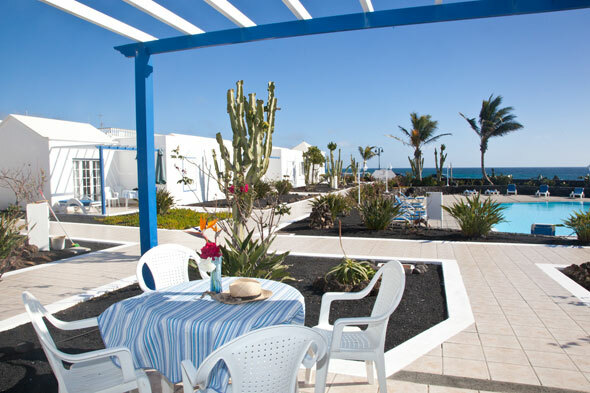 Bungalows Caleta Campos is situated on the seafront and holds 12 two-bedroom units set around a spectacular pool area. 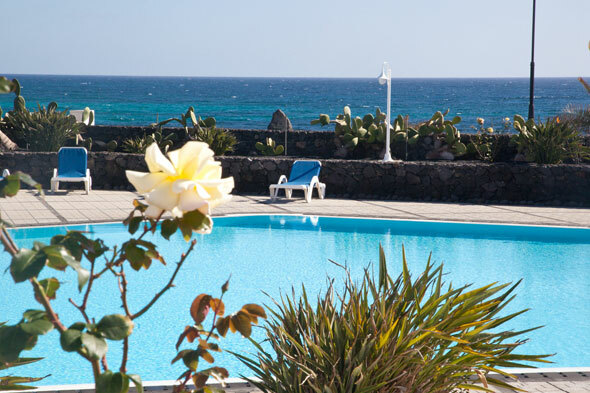 This small resort is located in Arrieta, a former fishermen’s village in the north of Lanzarote. This charming village has remained largely undiscovered and, therefore, untouched by tourist development, allowing you to enjoy a few days of peace and quiet during your holidays. All bungalows have an area of 70 m2 and beautiful sea views. 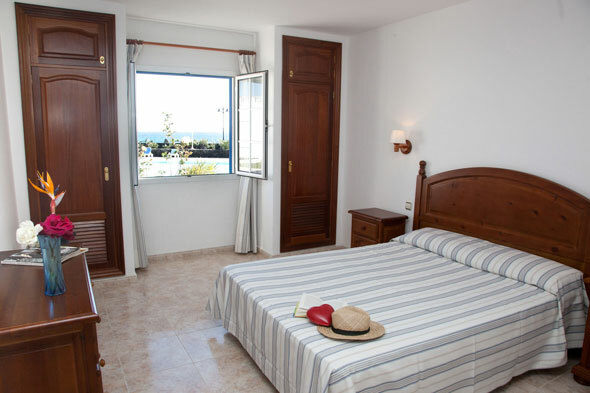 Caleta Campos Bungalows have two bedrooms: a main bedroom with a double bed and another with two single beds. 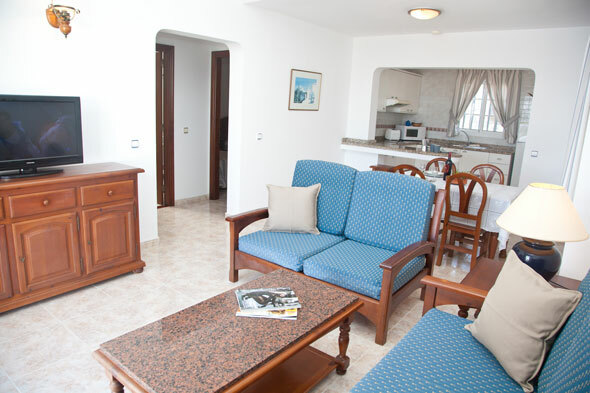 You will also find a cosy living/dining room and a spacious bathroom. 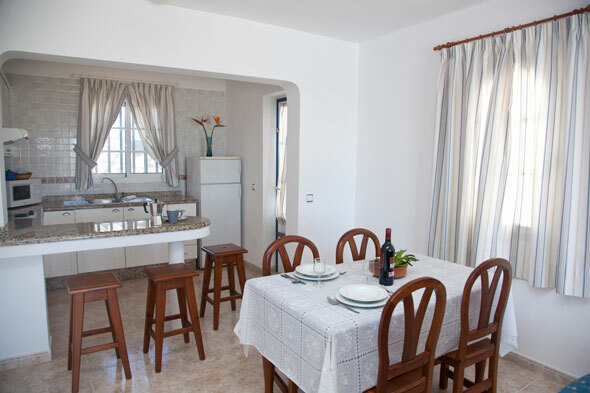 The kitchen is perfectly equipped with all sorts of utensils as well as a fridge-freezer, a microwave, a double-hob ceramic cook top, a coffee maker, a kettle and a toaster. Each bungalow has a 10m2 terrace where you will be able to relax whilst enjoying an enviable landscape.